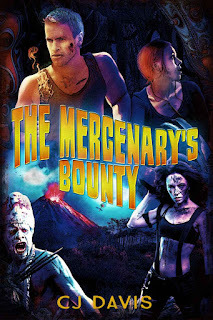 Take a dash of Indiana Jones, give him Jack Bauer's violent sense of bravado, add a little Jack T. Colton romance, and polish it off with some Michael Crichton style science, and you've got The Mercenary's Bounty by CJ Davis. This is an old fashioned adventure serial translated to the page, full of exotic dangers and cliffhanger escapes. A scientific expedition, sent to retrieve a rare plant that may have the power to cure cancer, has gone missing in the deepest jungles of Papua New Guinea. Chase Dumbar has been hired to find any survivors and bring back the plant, while Samson Treveski has been hired to simply retrieve the plant. The two men have a shared history, which drives much of the tension in the tale, while the looming eruption of the jungle volcano creates a sense of urgency. Fun, violent, and fast-paced, the story careens along with barely a moment to think about where we're going. There's time for romance for both men, however, and even a little tugging at the heartstrings with a father dying of cancer. Plane crashes, gun play, knife fights, cannibals, and crocodiles are just part of what we encounter along the way. 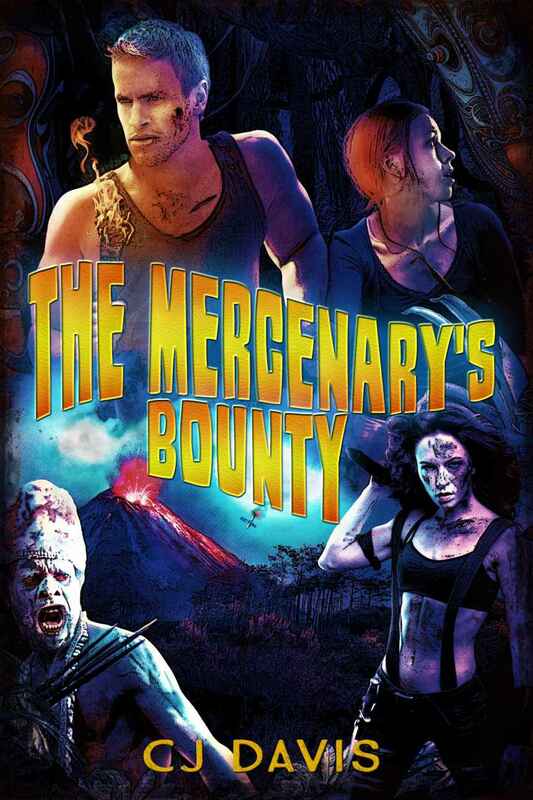 All told, Mercenary's Bounty is a fun diversion that definitely delivers on its promise. Sounds like the author threw in everything but the kitchen sink! Like fast paced and fun.